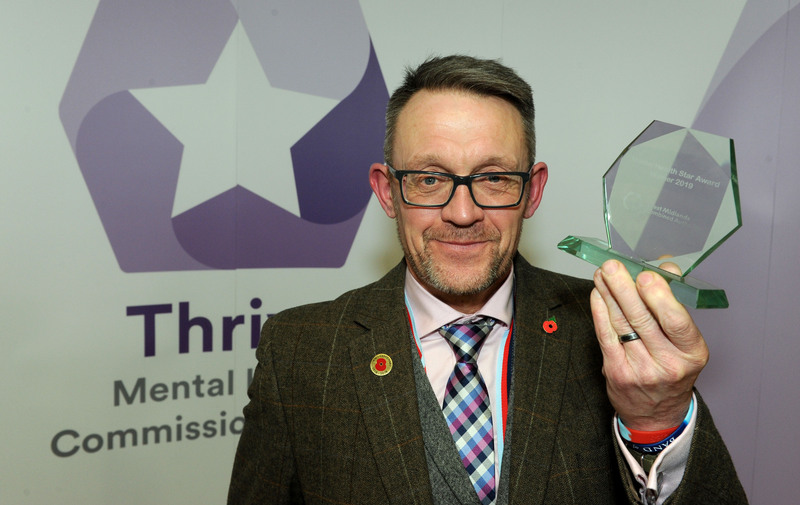 Former RAF Regiment Gunner, Gary Peake, received the Mental Health Star individual award at the Thrive Mental Health Commission Awards, organised by West Midlands Combined Authority. 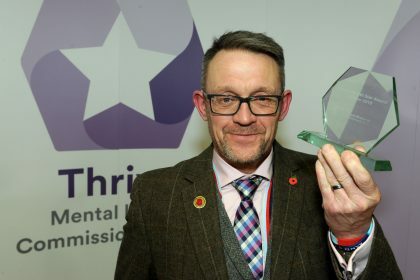 Gary works for Acacia Training where he trains staff to become ‘mental health first aiders’ – supporting colleagues and customers with issues affecting their mental health or wellbeing. He also volunteers with the Scouts, youth organisations and homeless charities, including providing support to ex-services men and women affected by Post Traumatic Stress Disorder (PTSD) and other mental health issues. This is a subject very close to his heart, as Gary himself was medically discharged from the Armed Forces in 2015, after a 31-year career as a military parachutist and team medic. He explains: “Part of my recovery has been finding a purpose to help others to overcome depression, anxiety and PTSD and it’s obviously something I feel very passionate about. Working for a supportive employer like Acacia Training has been a big change for me. There is a lot of demand for the courses I am delivering, with major companies like Vodafone and Dufry getting on board to realise the importance of mental health first aid to their employees’ wellbeing and, in turn, their performance. Gary also volunteers in his own time, talking to homeless people on the streets in Stoke on Trent to get them appropriate support. He credits his voluntary work with The Royal British Legion and the Scouts as a major part of his recovery, along with singing in the Invictus Games Choir. He has performed with the choir on Classic FM and at the Royal Albert Hall.